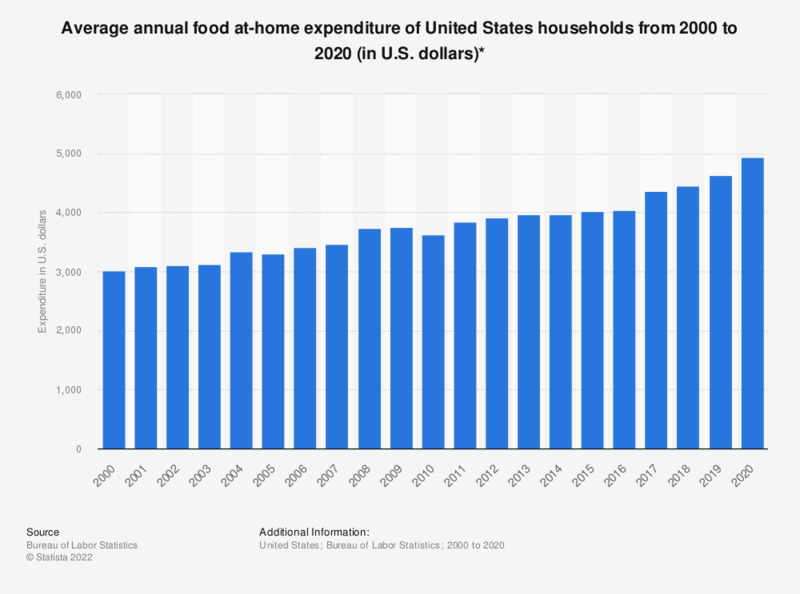 This timeline depicts the average annual food at-home expenditure of households in the United States from 2000 to 2017. In 2017, average food at-home expenditure of U.S. households amounted to 4,363 U.S. dollars. * Consumer units include families, single persons living alone or sharing a household with others but who are financially independent, or two or more persons living together who share expenses.